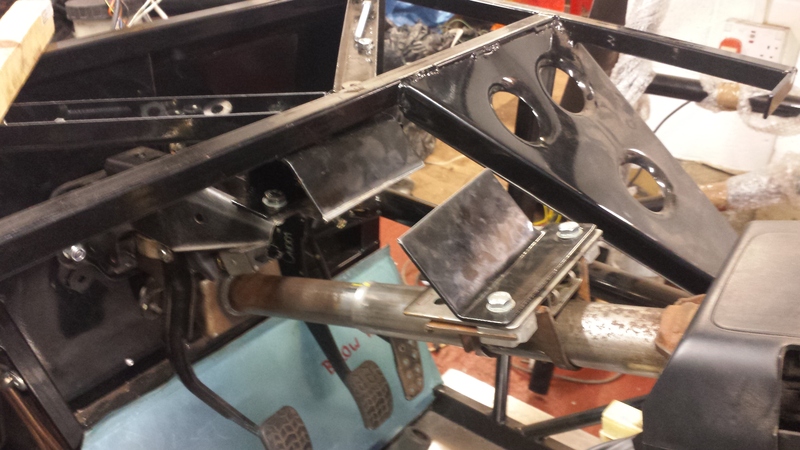 My version of a clutch pedal brace. 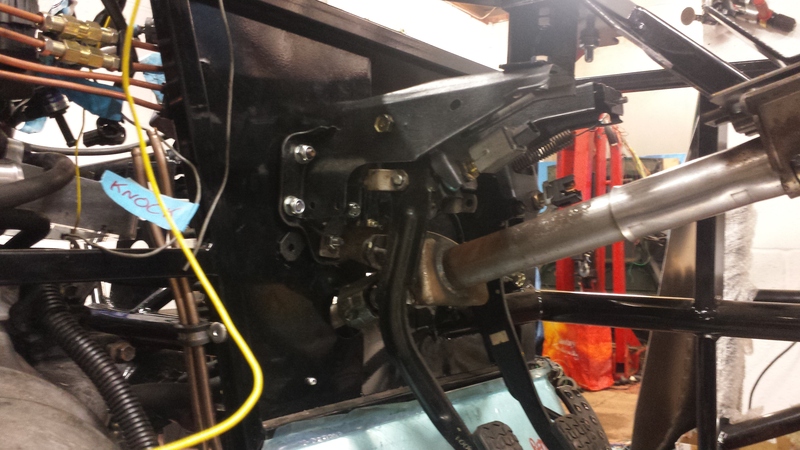 With nice 3mm space for the steering column bracket. Quite pleased actually. PS reservoir, cooler and hose routing test. 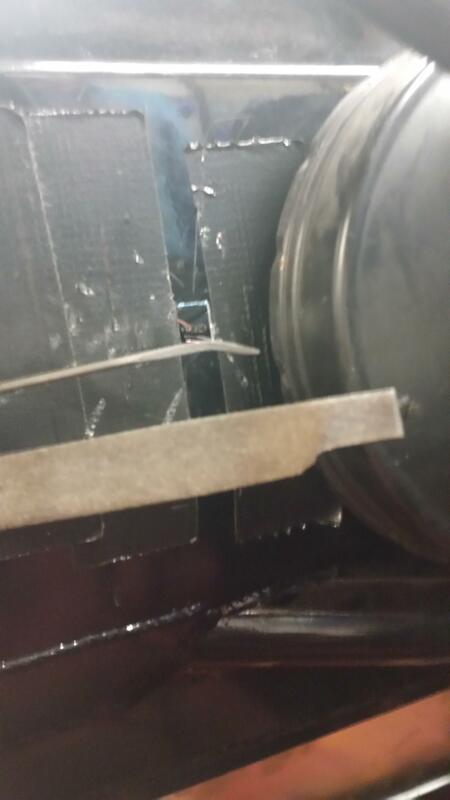 Hotside nice and open after coolant reroute. 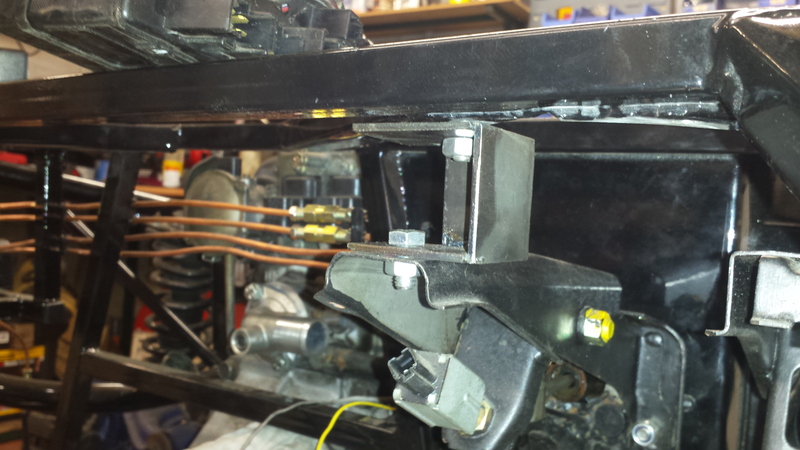 Coldside wiring inc oil temp and knock sensor. 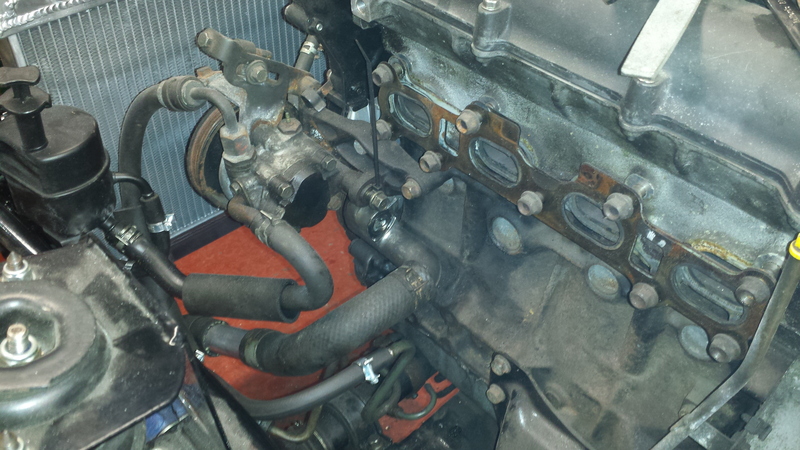 Need to cleanup throttle body and start thinking about air/fuel/throttle cable/WI routing. So, I'm hoping to be told that I've done something wrong, because we couldn't make it fit without modification. I'll let the pics tell the story. I modified the column clamp to allow bolts in what I thought was a better position, but backed out of that because it would have prevented the collapse mechanism working properly. 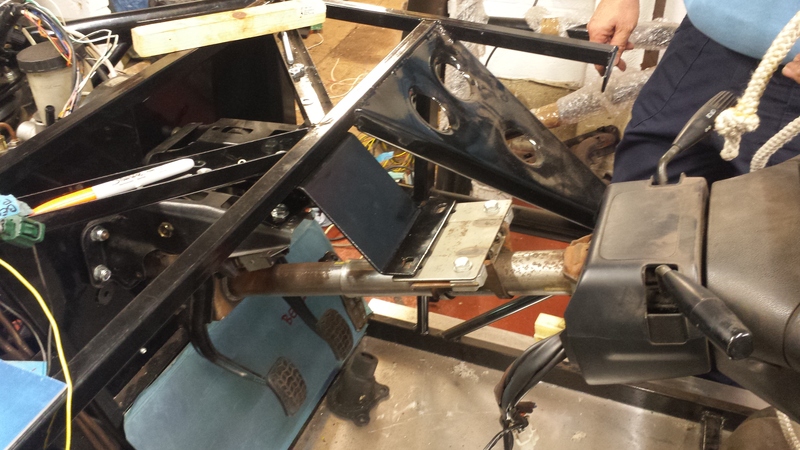 The base of the column is in place correctly, the universal joint bolt fits. 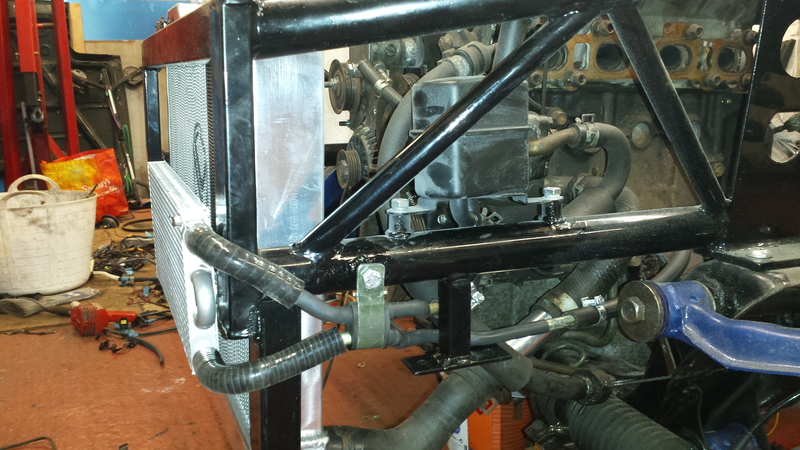 With the bracket split and both ends mounted where I think they should go, you can see how short it is. Test fit, and it feels fine. Placed the dash in the right place and it all looks fine. Bunch of progress here. Despite the advice to progress with the complete loom and then strip it back, I've decided to be brave and reloom from the start. Electronics temporarily mounted, new modular fuse and relay box on order. Seat placed in position - will probably get recovered. Not convinced this will pass IVA with a harness, need more research. 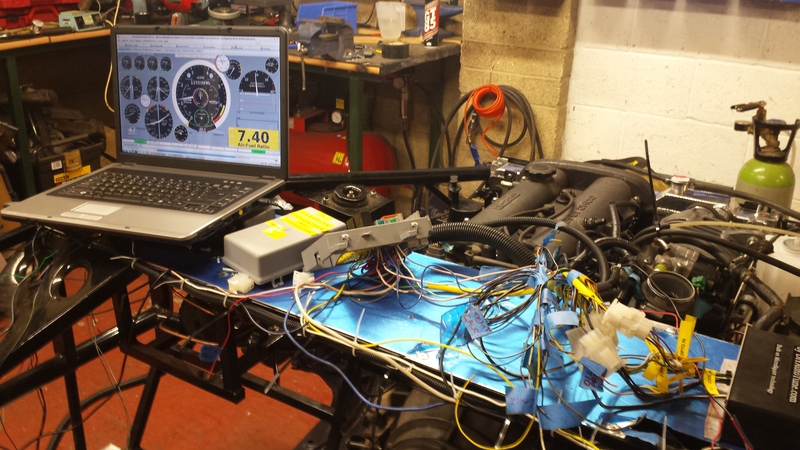 Very little wiring will be coming from the rear, just fuel and ABS sensors. 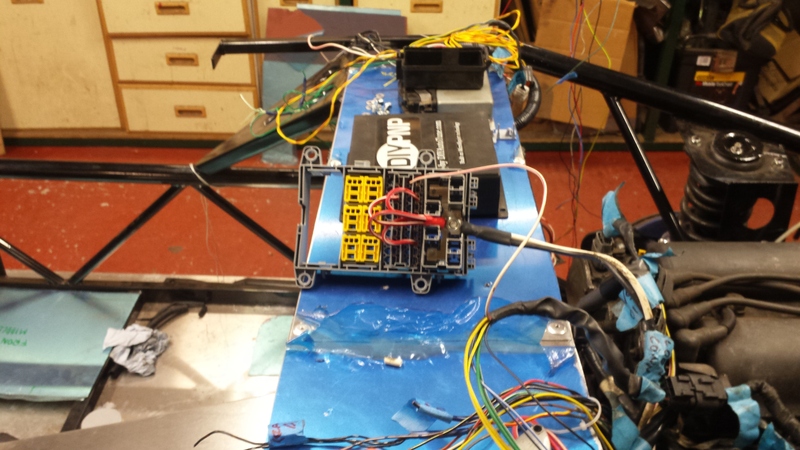 Lighting harness will all be mounted to the inside of the body with single connector to enable easy body and separate front end removal. Dash placed in position. Seems to be in the right place re. the steering wheel. Still unsure about why I needed to modify the mount. No way would it have fitted otherwise. 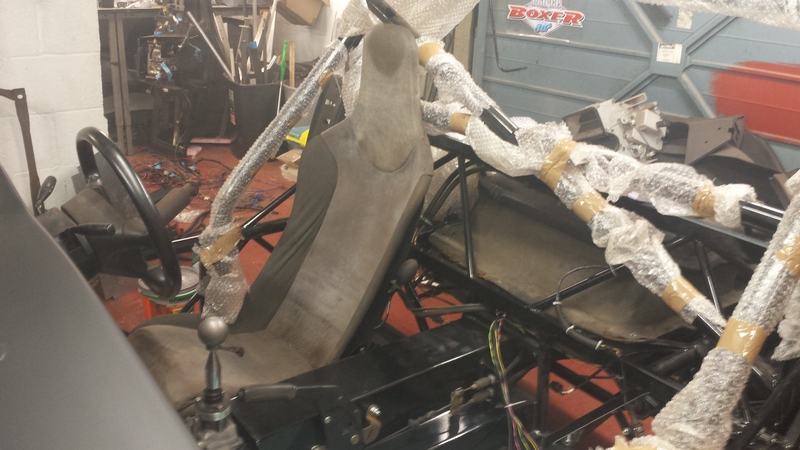 Seat might end up pretty low compared to body, but at the moment the position feels good. Lighting portion of loom. Will use as donor wire for the lighting reloom. 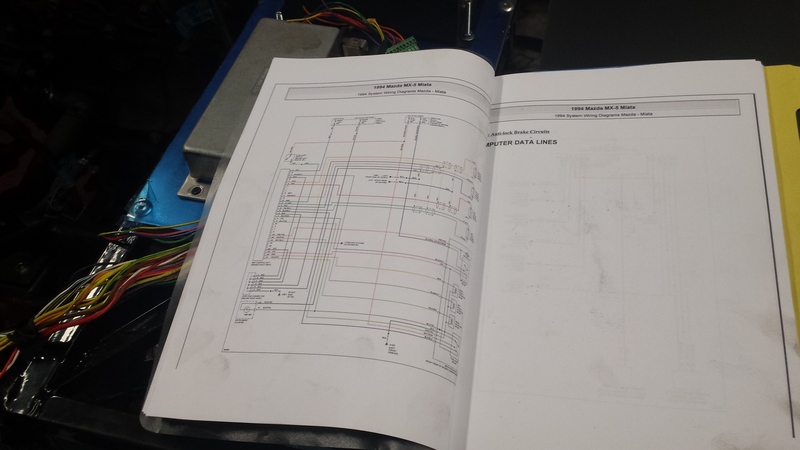 Wiring diagrams Wouldn't reloom without it. 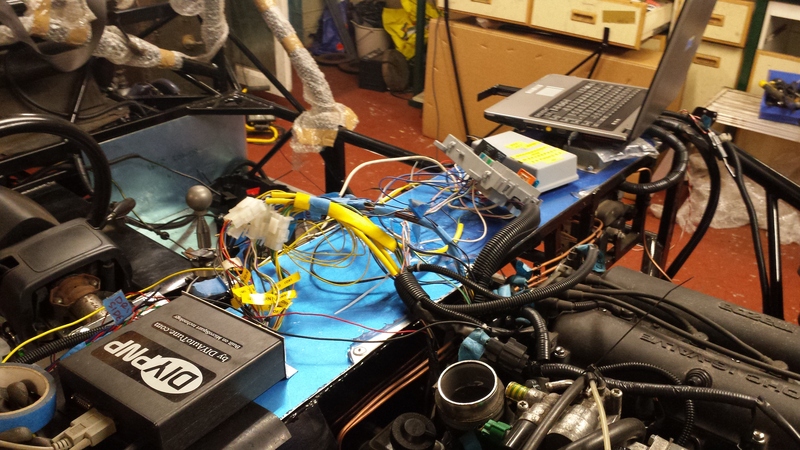 Next step, fuel pressurisation test. 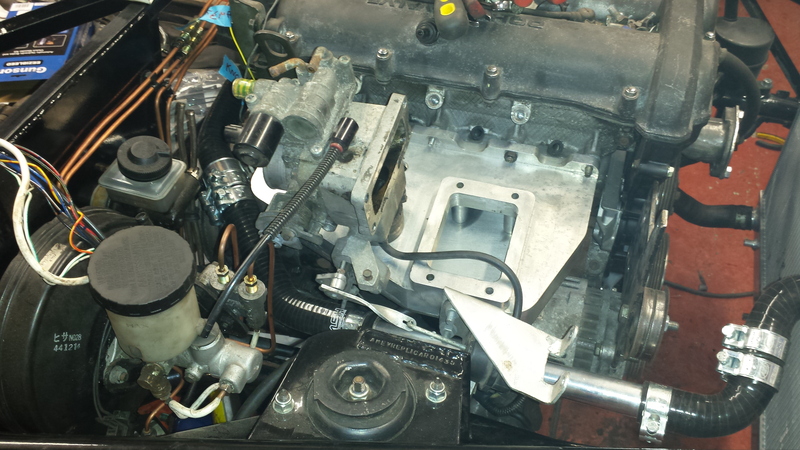 Some engine progress here, fuel pressurised, charger fitted, throttle cable fitted. Am going to skip the water feed to the throttle body. 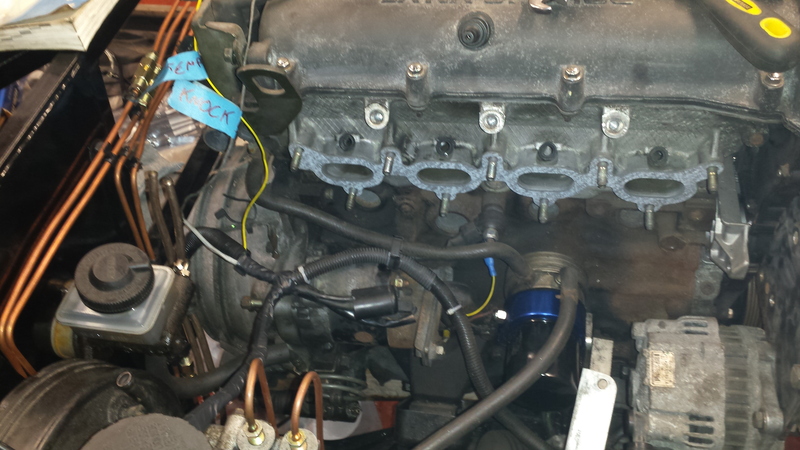 Air is looking like it might be a challenge, for testing will just use a mushroom above the throttle body. 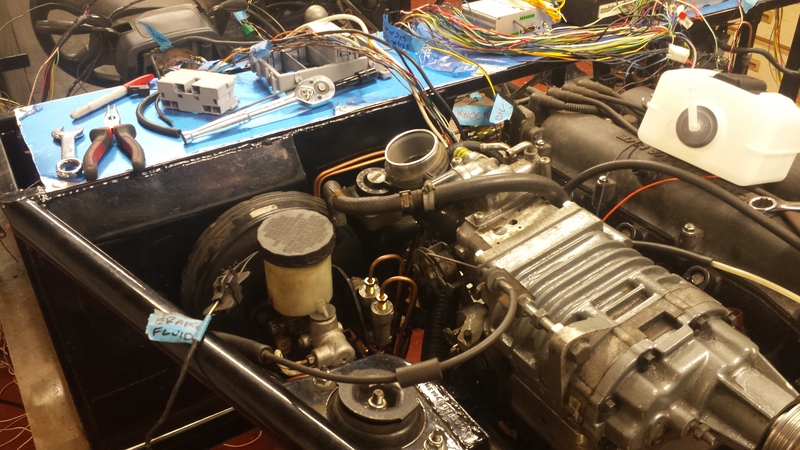 Lots of electronics to do now, then some details and engine start with minimal wiring. 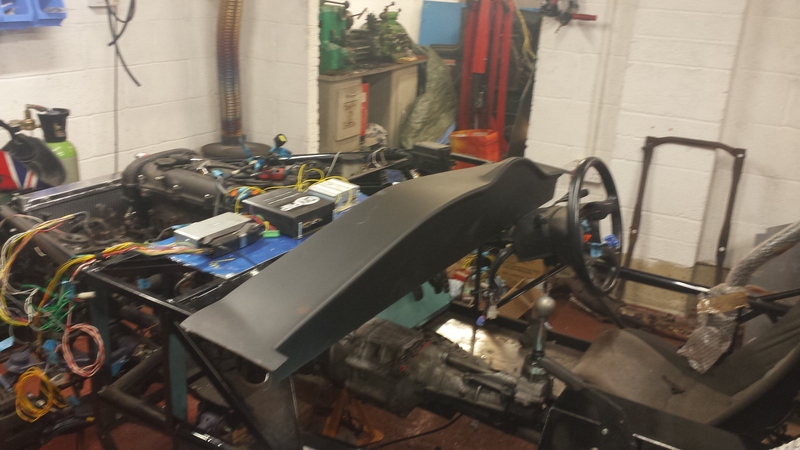 Need to test fit the bodyshell to get an idea of clearances. 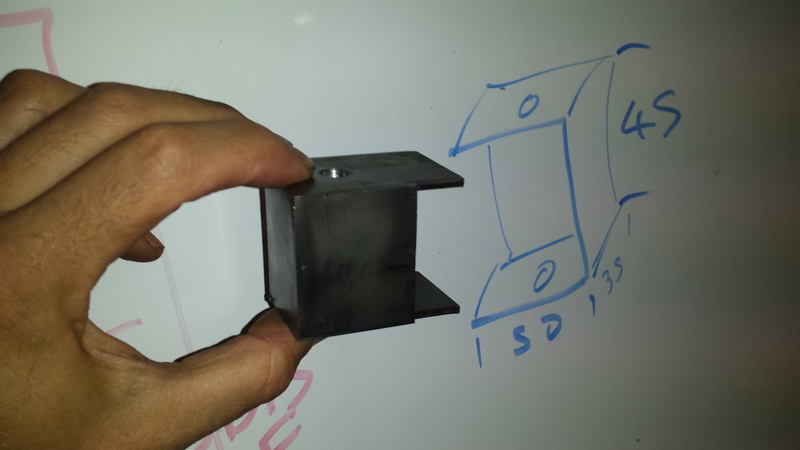 looking good, we plasma cut the plate so it is not accurate enough to make the square hole. 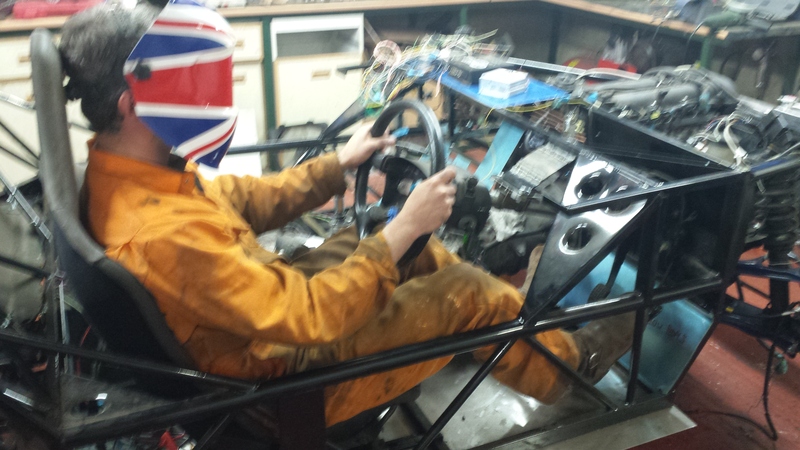 The wheel looks about the right height for you in that seat, don't drive it with a welding mask on though! You might be able to get away with leaving off the coolant connection for the throttle body but you may have a high idle speed. The coolant hoses to the throttle are for cold idle speed control, the line was blocked on my engine and hot idle was over 1600 RPM, after clearing the line and making sure there was a good flow through the circuit it came down to 800 RPM. Thanks snowbird1, that's interesting. I thought the circuit was there to prevent icing. I'll have to do some more reading. 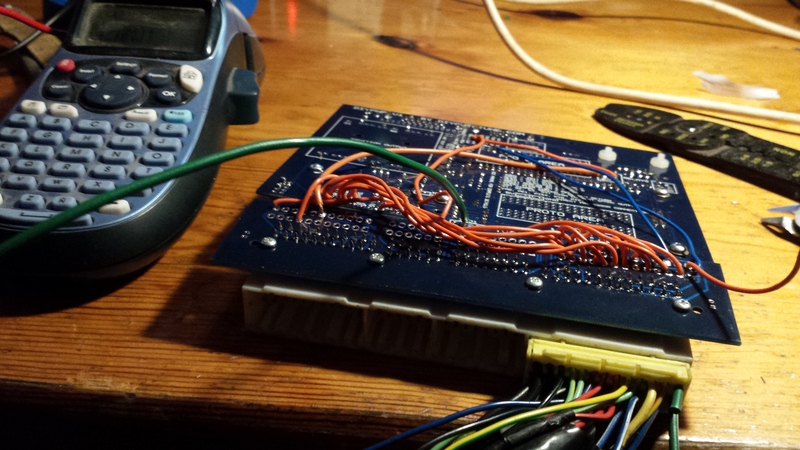 I have megasquirt so I think I can tune my way around the problem if it exists via pwm and engine temp, worst case I'll plumb it back in if I have to. Thanks for the heads up! I've been working on loom for a while, just some progress pics.. 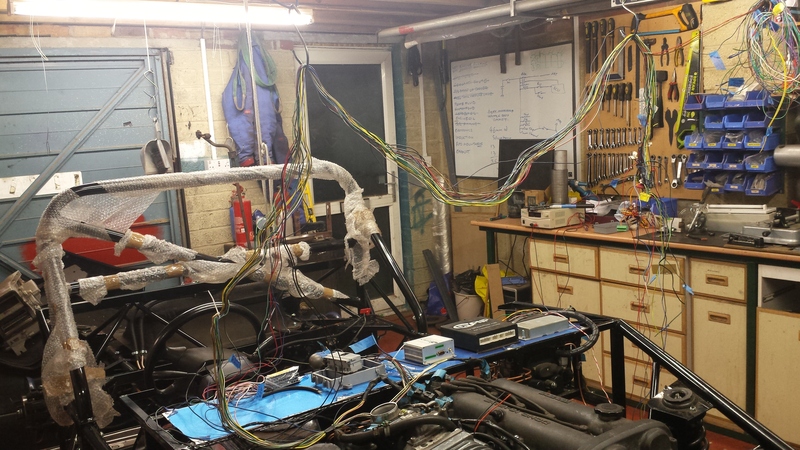 Original to-ECU loom spread out. New modular fuse/relay box with power provided. Removing original mazda ECU connector. It's knackered from too many mods and abusive removals. 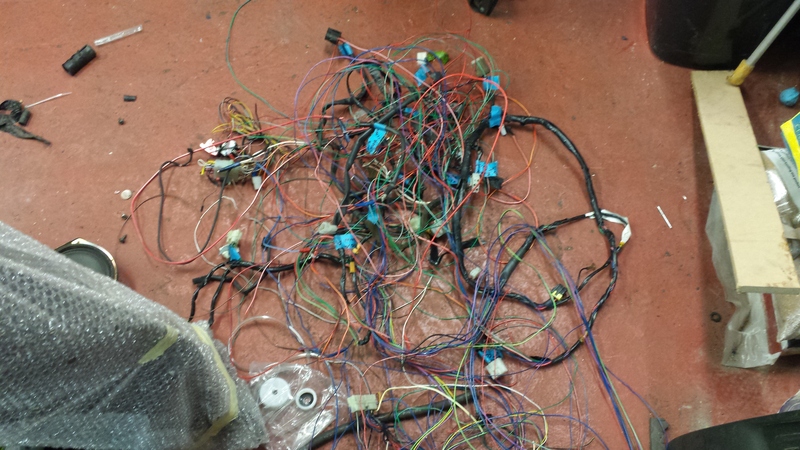 ECU tailed and all (well mostly) wires id'd and ready. Chances of the car starting at first attempt? Blimey that's some serious work done, credit to you for tackling it. 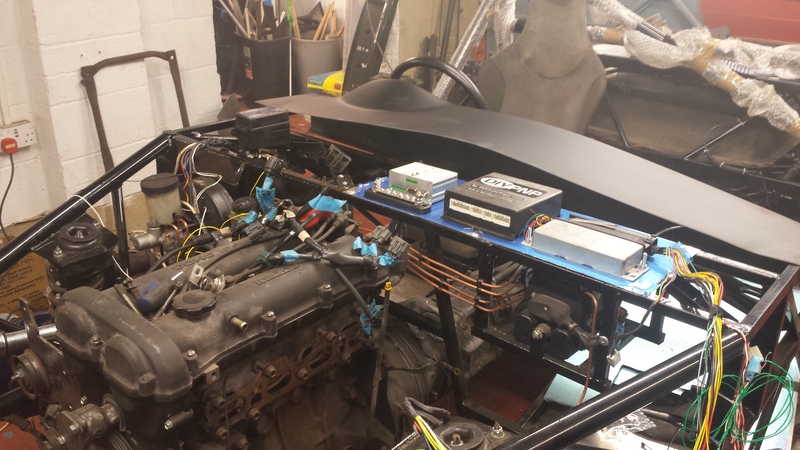 Lots of wiring progress, essentials in place. No O2 sensor installed yet, and lots of clean up to do but boy is it a relief. Coolant reroute works well, temp stabilises at 86 degrees during long idle. P/S seems to be fine. 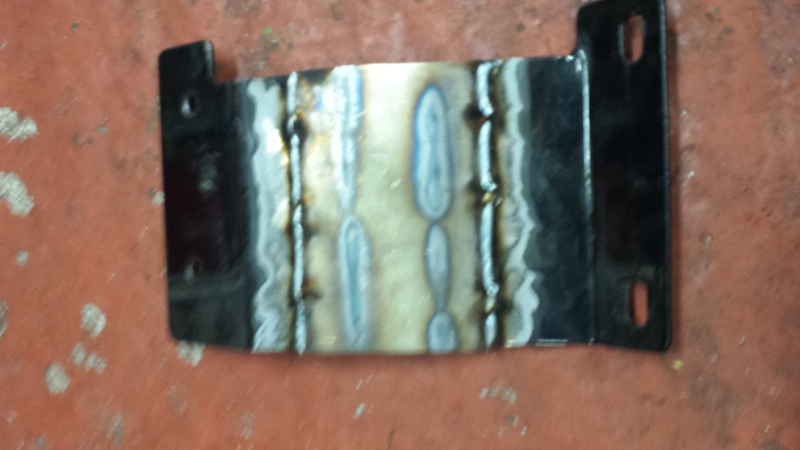 Had to weld on a couple of exhaust hangers, that's partly caused by aftermarket exhaust and mk2 rear subframe. 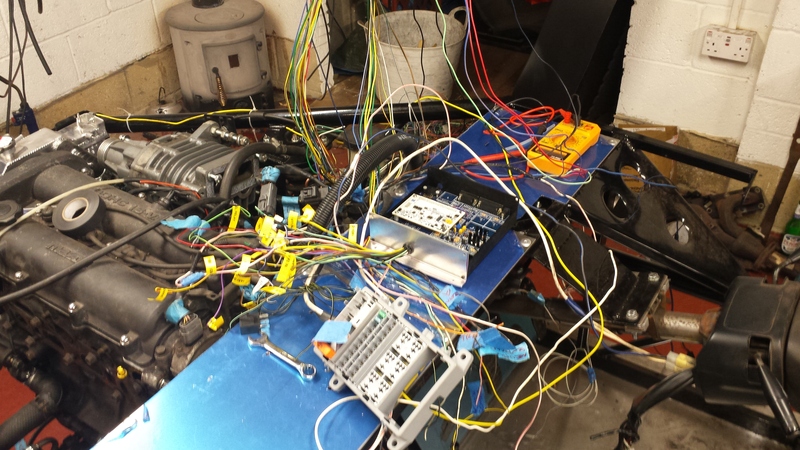 ABS not powered yet, bit worried about that to be honest - wiring diagram and loom suggests there are two stop-light switch plugs. Obviously there's one on the brake pedal but I have no idea where the other one is/was. Ah, interesting idea, could well be. Will investigate.